Clay looks worried about his trip to County on Sons of Anarchy. "Aon Rud Persanta" is the 11th episode of the show's sixth season. 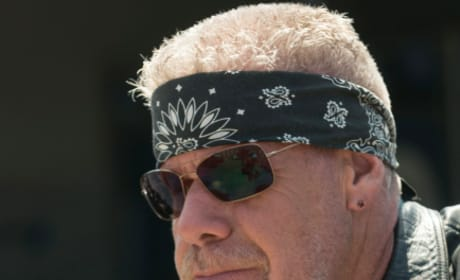 It looks as though Clay's been broken out of prison on Sons of Anarchy. "Aon Rud Persanta" is the 11th episode of the show's sixth season. Gemma sits across from Clay in this Sons of Anarchy scene. Will it be the final time she sees him alive? 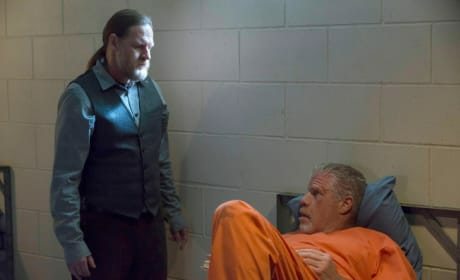 Donal Logue makes a serious impression on the Sons of Anarchy Season 6 premiere. He stares down Clay in this scene. What is Clay's next move? 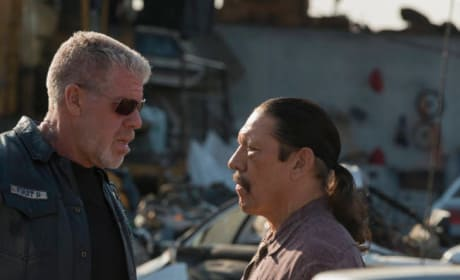 He confers here with Romeo during a Sons of Anarchy Season 5 scene. Clay has gotten himself into a lot more trouble. 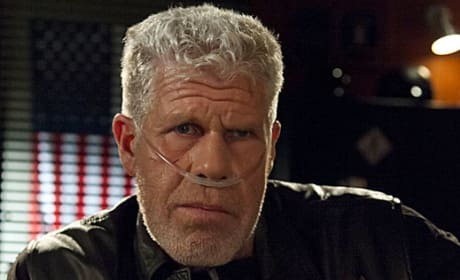 Will he live to see the end of SOA Season 5? Gemma cozies up to Clay in this Sons of Anarchy scene. But she has an agenda, of course. 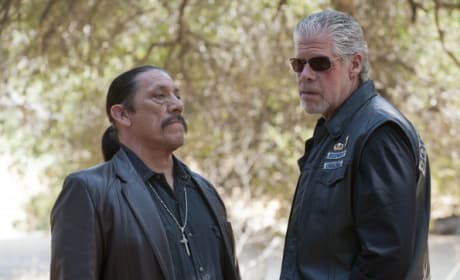 Clay is plotting the demise of Jax on Sons of Anarchy. He's behind the home invasions. Clay killed Piney. 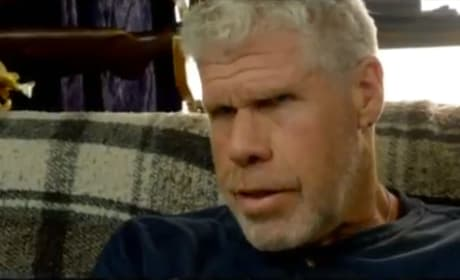 On Sons of Anarchy Season 5, meanwhile, he will look a great deal like Piney. Will Jax go through with the killing? 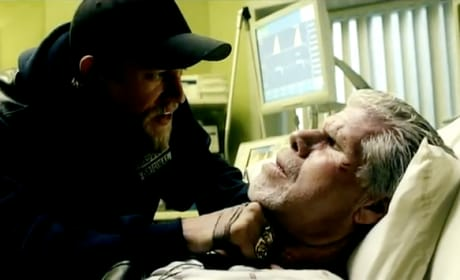 HE holds a knife to Clay's throat on the season 4 finale of Sons of Anarchy. This is a dangerous duo. Romeo and Clay discuss of their relationship in this scene from "Call of Duty." 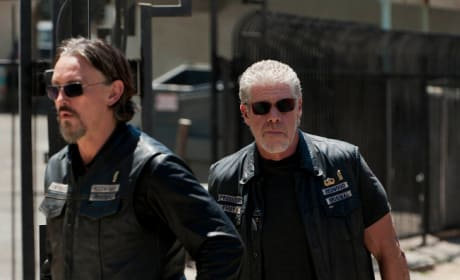 Clay is very much on the war path on Sons of Anarchy season four. Almost no club member is safe from his wrath.